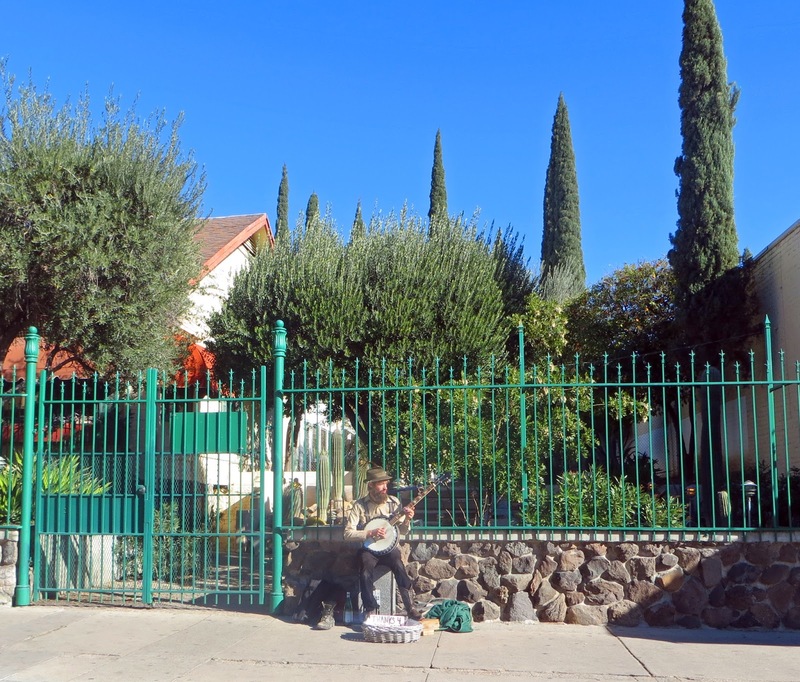 An entertainer playing for money on 4th Avenue in Tucson, Arizona. He's strategically placed in front of one of Tucson's oldest restaurants, Caruso's. Here's a list of 24 other restaurants in Tucson over 25 years old.